Explanation: Is it magic? On a rare foggy night, mysterious laser beams seem to play across the MAGIC telescope at Roque de los Muchachos on the Canary Island of La Palma. 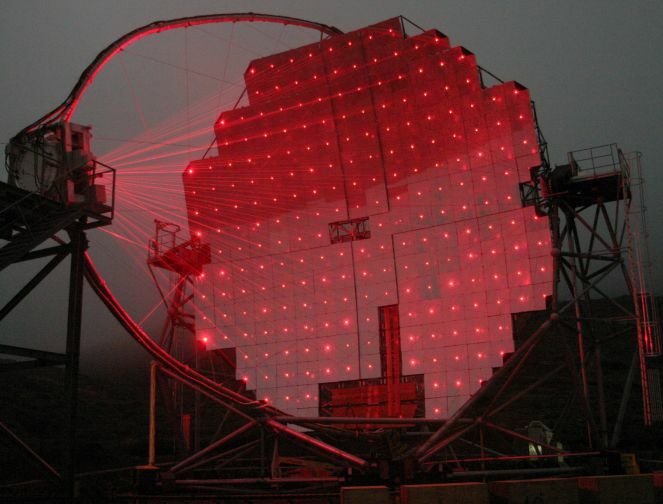 The lasers are actually part of a system designed to automatically adjust the focusing of the innovative, seventeen meter wide, multi-mirrored instrument. The MAGIC (Major Atmospheric Gamma Imaging Cherenkov) telescope itself is intended to detect gamma rays - photons with over 100 billion times the energy of visible light. As the gamma rays impact the upper atmosphere they produce air showers of high-energy particles. The MAGIC camera records in detail the brief flashes of optical light, called Cherenkov light, created by the air shower particles that ultimately correspond to cosmic sources of extreme gamma-rays. 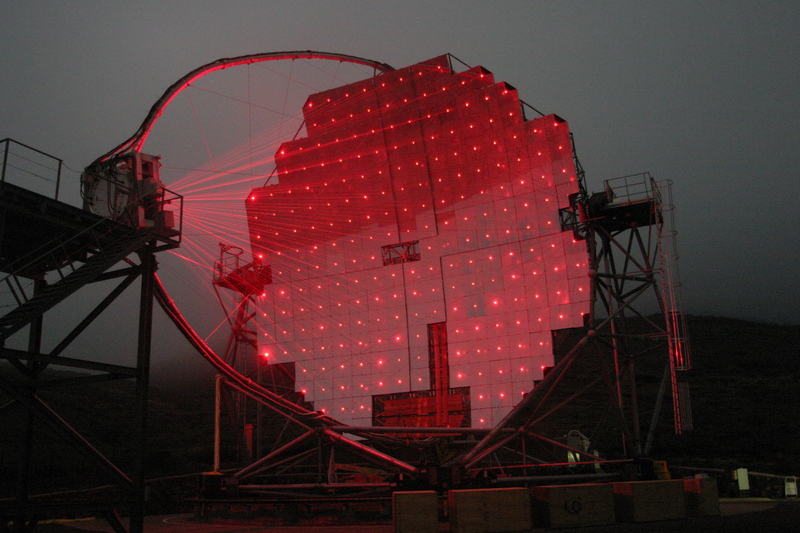 While the MAGIC I telescope became operational this year, the dramatic picture shows the nearly completed version of the instrument in October 2003.